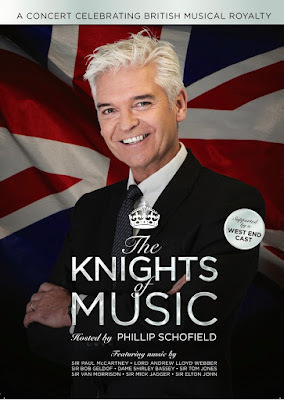 Phillip Schofield is back on stage for the first time in 17 years and will host a UK concert tour from 21-24th April, entitled The Knights of Music, visiting stages in Cardiff, Ipswich, Northampton and Southampton. 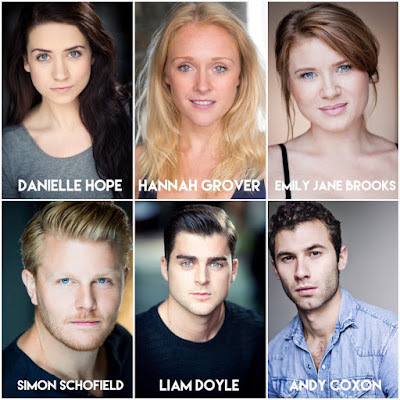 Directed by award winning Gary Lloyd, THRILLER LIVE! The Michael Jackson Musical, CARRIE the Musical, 20TH CENTURY BOY, THE GENIUS OF RAY CHARLES, JESUS CHRIST SUPERSTAR. Danielle Hope, Won the BBC's smash hit OVER THE RAINBOW, Dorothy THE WIZARD OF OZ, London Palladium, Eponine LES MISERABLES, Narrator JOSEPH AND THE AMAZING TECHNICOLOUR DREAMCOAT and Maria Rainer THE SOUND OF MUSIC (National Tour). Andy Coxon, Barry in BEAUTIFUL – The Carole King Musical, Pablo in SISTER ACT, Montparnasse & Understudy Marius in LES MISERABLES, THE ROCKY HORROR SHOW, EVITA. Emily Jane Brooks, THE CANERVILLE GHOST, Rosemary Ashe ME AND MY GIRL, CRAZY FOR YOU, A SLICE OF SATURDAY NIGHT, THE SONGS THAT WON THE WAR. Simon Schofield, Frankie Valli in NEW JERSEY NIGHTS, played Rolf in ‘THE SOUND OF MUSIC', Joseph in 'JOSEPH AND THE AMAZING TECHNICOLOUR DREAMCOAT, LES MISERABLES. 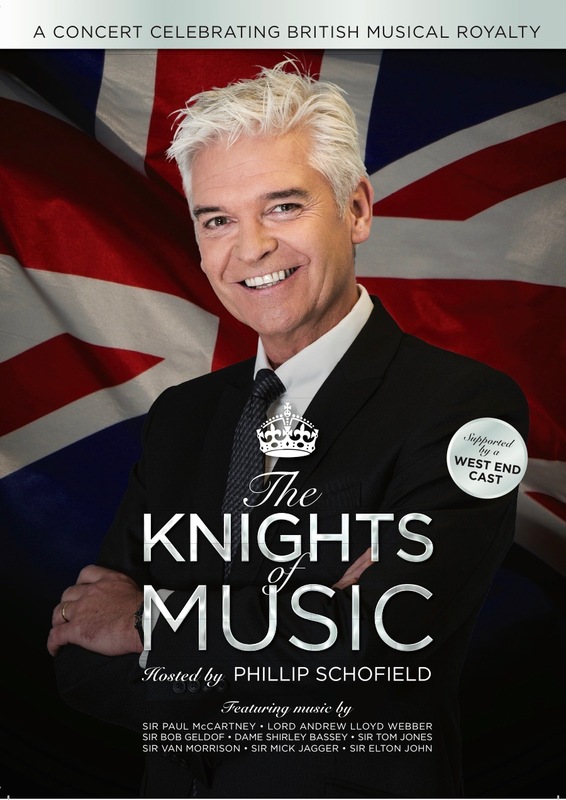 Phillip Schofield said: "I'm so thrilled to be hosting The Knights of Music. It promises to be a great night of music and surprises. It's been quite a while since I've appeared on stage so I'm really looking forward to a great evening." Schofield, who currently presents ITV's This Morning, previously starred in Joseph and the Amazing Technicolor Dreamcoat at the London Palladium, as well as the UK tour of Dr Dolittle.